In Japan, Monex, Inc. is an online brokerage firm with a client base of 1.2 million. There are only 8 online brokerage firms around the world that have a client base of over 1 million: TDAmeritrade, Charles Schwab, E*TRADE, and Fidelity in the United States, Cortal Consors in Europe, and SBI Securities, Rakuten Securities, and Monex, Inc. in Japan. This is the third of three posts on the market share of stock brokers in the US, the UK and Singapore. The first part deals with US stock brokers and the second part with UK stock brokers. Of course, the top market share is completely different to who the best stock broker is – in fact, in each case the top five includes firms I wouldn’t go near. If that’s what you’re looking for, see the guide five of the best international stock brokers. 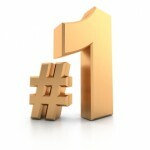 But to discover who is number one in Singapore, read on. This is the second of three posts on the market share of stock brokers in the US, the UK and Singapore. Part one deals with US stock brokers and part three with Singapore stock brokers. Of course, the top broker by market share is completely different to who the best stock broker is – in fact, in each case the top five includes firms I wouldn’t go near. If that’s what you’re looking for, see the guide to the the five best international stock brokers. But to discover which two firms lead the rest in the UK, read on. I’ve seen several hits from searches like stock broker market share lately. And since you’re asking, I might as well try to answer. Of course, this is completely different to who the best stock broker is – in fact, in each case the top five includes firms I wouldn’t go near. If that’s what you’re looking for, see the guide to the five best international stock brokers. Otherwise, to see who the number one stock broker is in each country, read on.